Paris really is a tale of two cities. There is the City of Light, above ground, with its beloved Eiffel Tower or Louvre Museum. This is the city that the world sees and loves. But there is also a secret Paris underground, lesser known by visitors and locals, which is much more than the Paris Catacombs. Although we enjoy walking the streets of Paris, the hidden Paris underground city is an important subject of our quirky explorations. Indeed, the magnificent City of Light hides at least 130 kilometers of abandoned tunnels and secret places running below its streets. 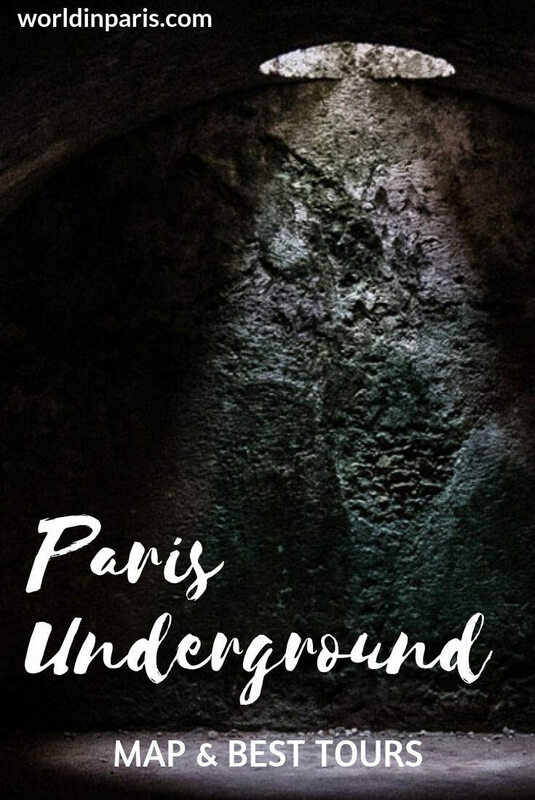 This is our personal compilation of some really cool underground Paris tours, easy to locate thanks to our underground Paris map: from Roman Lutetia (Paris’ first settlement) to the current Parisian Metro, there is something for every taste. Most of these places are cold and humid, with slippery floors. We recommend bringing an extra layer, sneakers, and a scarf. 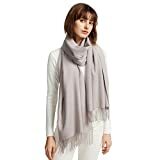 Bring also a bottle of water (or warm tea or coffee) with you. With a daily ridership of 4.16 million (2015), the Parisian Metro is the most known part of Paris underground. The metro of Paris has 300 metro stations spread all over the city, you can see our favorite metro stations here. BUT the following Paris underground tour cannot be paid with a simple Metro Paris ticket, it is only possible through very special guided visits by the RATP which happen from time to time. The Parisian Metro also hides 18 phantom stations, metro stations that for different reasons were abandoned. Amongst them, Porte des Lilas is the most popular phantom metro station because it is the one used for shooting movies. However, our favorite hidden metro station is Saint-Martin station. Located in the 2nd arrondissement in Paris, this station was closed after the Second World War due to its proximity of Strasbourg-Saint Denis metro station. Saint-Martin metro station is a step back in time because it still keeps the aesthetics and ceramic decoration of the 1930s when it was still working and its advertising panels still display the products of that time. Because Saint Martin is the saint patron of the ceramic workers, these workers executed for this station an awesome ceramic decoration with raised motifs. Paris Catacombs history is very fascinating. The Catacombs of Paris are underground quarries which were reused years later for stocking the bones of disappeared cemeteries in Paris. Paris Catacombs tours and visits are very popular underground Paris tours amongst tourists, probably because of its original, spooky character. We must agree that the inscription at the Catacombs entrance « Arrête! C’est ici l’empire de la mort » (=stop, here it’s the empire of Death) is very impressive, and all those skulls piled forming beautiful designs are fun. If you want to visit the Paris Catacombs, we recommend buying a Paris Catacombs skip the line ticket because lines to enter the Catacombs are always very long. or a guided Paris Catacombs Tour online in advance. Queues in front of the Catacombs entrance are always very long. Buy your skip the line Catacombs ticket + audio guide now! Another interesting way to visit the Paris Catacombs is the skip the line guided tour with special access to sections usually closed to the general public. 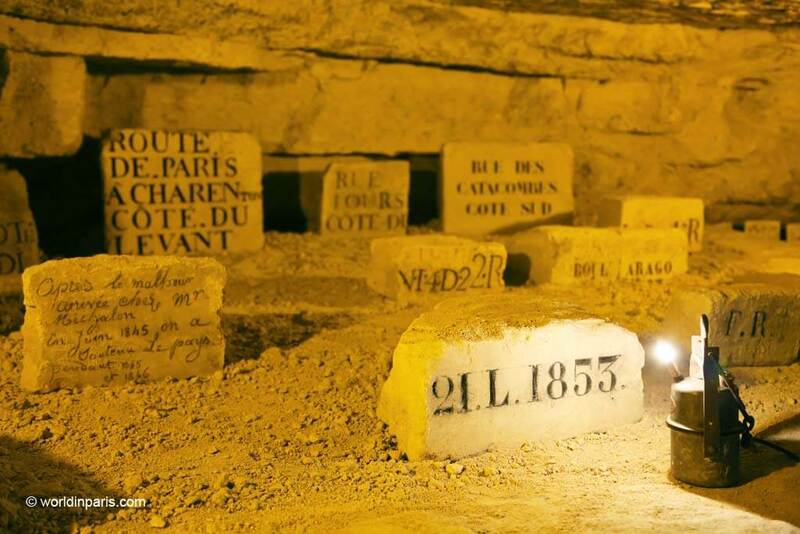 Apart from exploring the Paris underground tunnels covered by piled skulls, with this special tour visitors have the chance to see the quarryman’s footbath, the Sacellum Crypt, or altar where bones were blessed before being “filed” and other awesome places which are off the Paris Catacombs map with a standard tour. 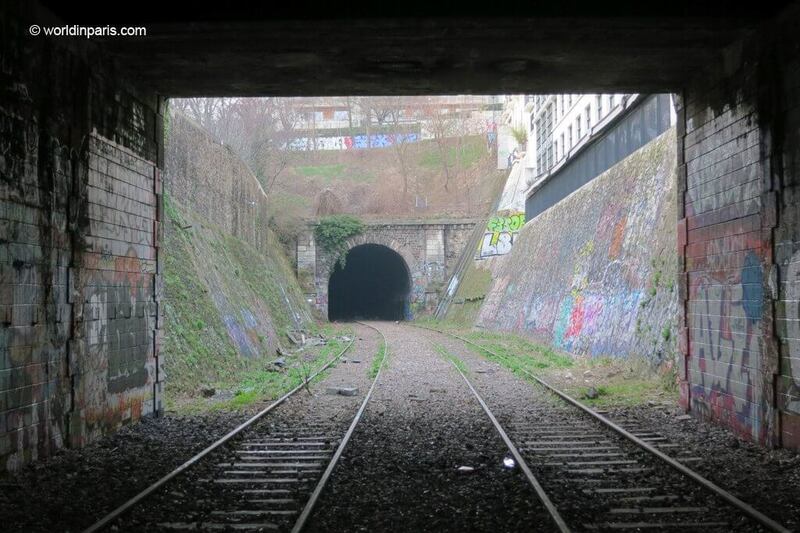 La Petite Ceinture of Paris (the Little Belt railway around Paris) was a 32 km railroad line that circled the city developed during the XIX century. Originally built to transport material goods from depot yards to the core of Paris, La Petite Ceinture became since 1862 also a service for passengers until the 70’s when it stopped operating. Today only four short sections of abandoned railroads are converted into green spaces and opened to the public. Some other sections are not that public but it is still possible to visit part of this Paris underground map walking on the rails. The Archaeological Crypt is a fascinating place located just in face of Notre Dame, underground. Despite its proximity to one of the most visited monuments in Paris, the Crypt sees few visitors a day, which is a pity! 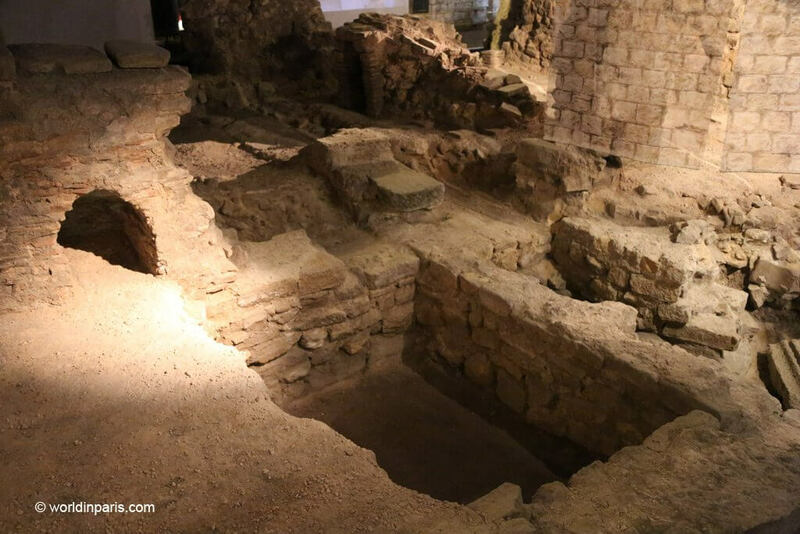 The place was supposed to be an underground car park until the excavation works uncovered one of the most well-kept parts of Roman Lutetia (4 century AD), the predecessor of present-day Paris. 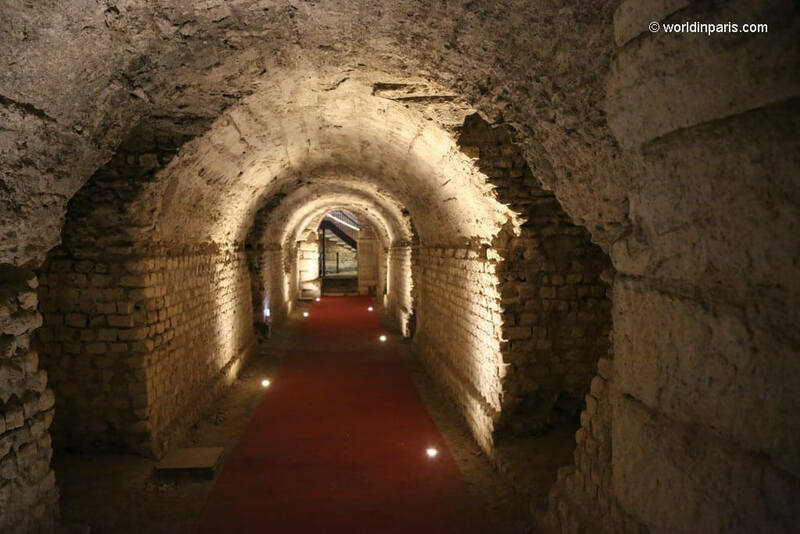 Today, the Archaeological Crypt is an excellent place to learn about the history of Lutetia, its Gallic predecessors (the Parisii) and visitors can explore some Roman streets, public baths, and even a section of the Roman harbor along the Seine! The picture above shows part of the public baths, with a pool, and a section of the Roman walls. Buy your Paris Museum Pass for 3, 5 or 7 days! 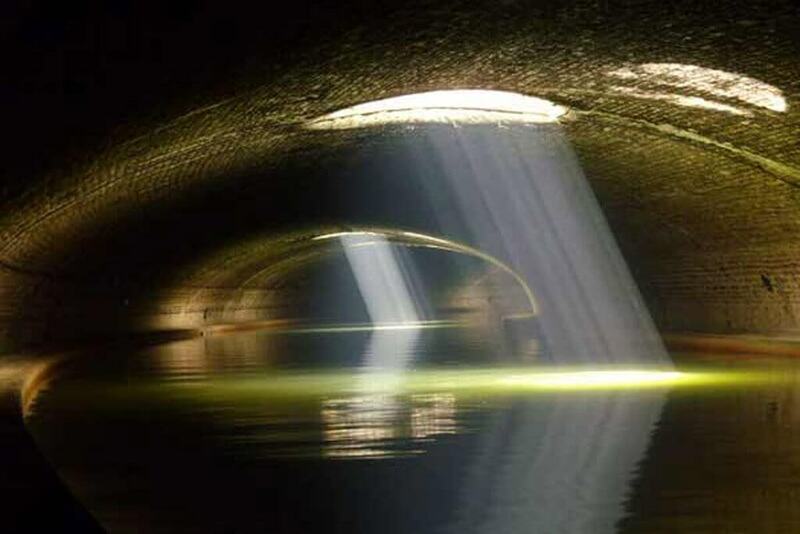 Exploring the Paris underground waterways is a quirky but very interesting visit that we always recommend. The Paris Sewer Museum details along 500 m of their underground tunnels the history of the sewer system and water in Paris from the former Roman Lutetia to its modern layout (XIX century). The museum also explains the sewer workers’ role and the methods of water treatment, with interesting anecdotes about water in Paris. 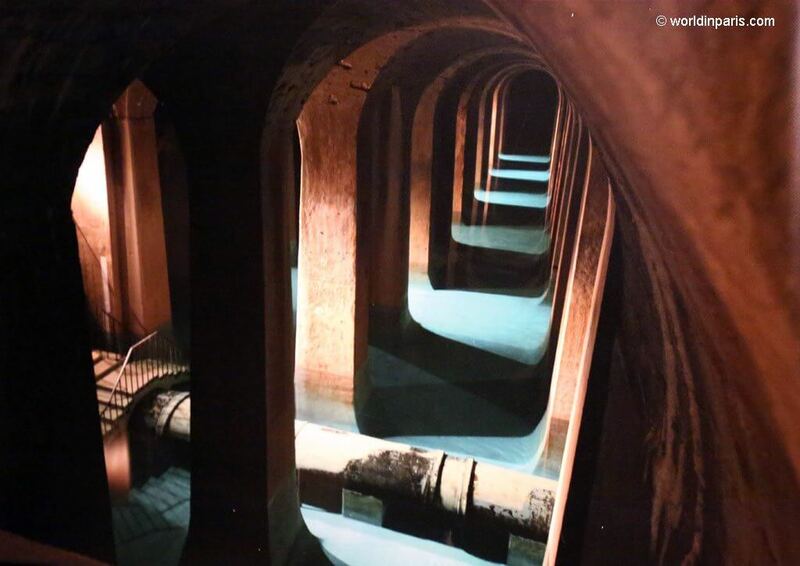 We were happy to know that Paris is the city which has the biggest and most modern sewer system in the world! Everybody knows about Paris Lutetia’s public baths, located inside Cluny Museum in the 5th Arrondissement of Paris. But how Romans brought water from the Seine river up to these public baths during ancient times? 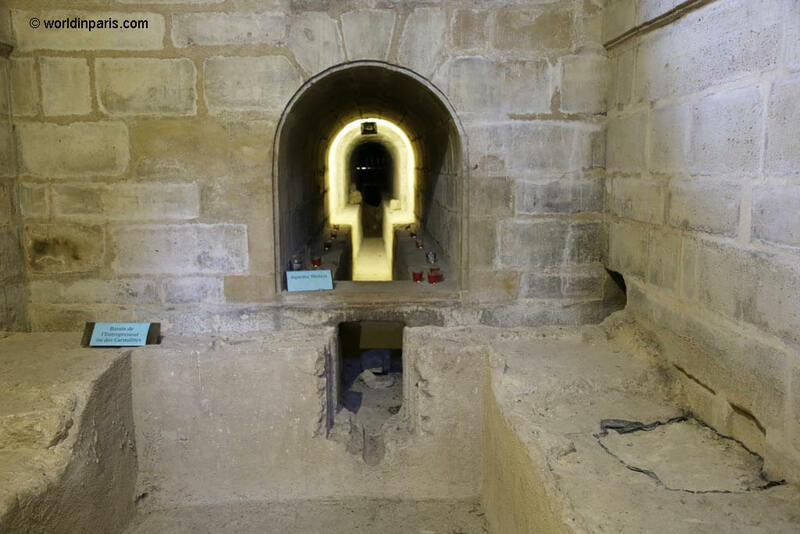 Romans had also an efficient sewer system and you can see a part of it just below the Roman baths of Cluny Museum. 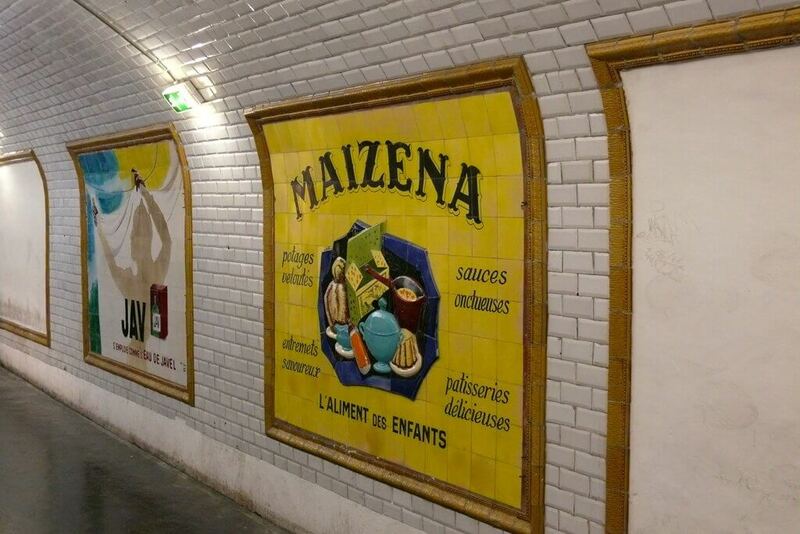 These underground Paris tunnels can be visited only during special guided visits by one of the museums’ curators. The visits are in French but even if you don’t speak the language the opportunity to see this Paris hidden gem is well worth it. You can check the museum’s scheduled guided visits here. The famous Paris catacombs only represent 0.5% of the underground city in Paris. There are other places less easy to reach, sometimes forbidden places, which years ago were the object of clandestine parties and other kinds of meetings. A great, more local (and totally legal!) alternative to Paris Catacombs are Les Carrières des Capucins (the Quarries of the Capuchins). This limestone quarry located below Paris 14th, Paris 13th and Paris 5th is maintained and enhanced by a non-profit association in the form of a museum. Their unusual and rather confidential torchlight tours unveil part of the city’s exceptional industrial heritage (the world of underground quarries) and some interesting curiosities. This tour (in French) is also a step back in time: indeed, under the streets of the 21st century, the Paris of the XVIIIth century still exists inside the Quarries of the Capuchins. The Canal Saint-Martin was designed by Napoleon I‘s engineers in the XIXth century to bring drinking water in Paris. The Canal connects the Bassin de la Villette to the Seine upstream with a drop of twenty-five meters. Canal Saint-Martin has nine locks and two swing bridges and it measures 4.5 km long, more than 2 km of which is underground. 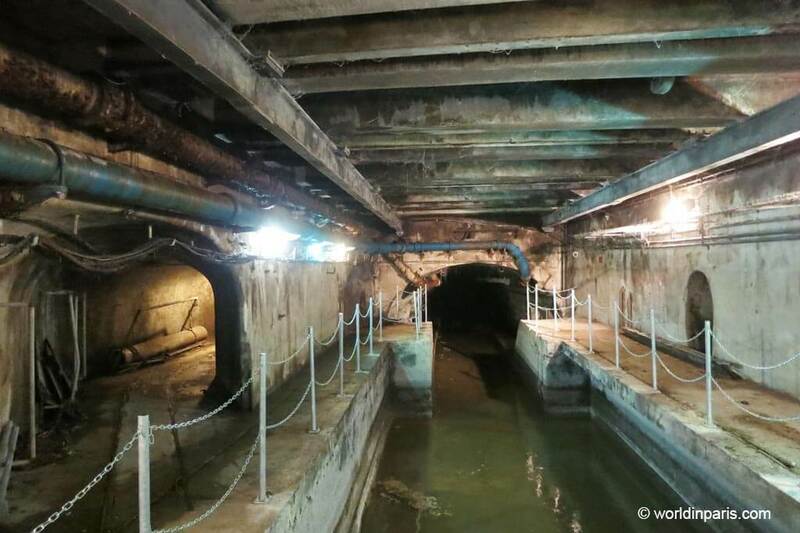 The canal’s underground part is covered by a vault which was illuminated every year by the Japanese artist Keiichi Tahara at the passage of the cruise boats. This part of the canal is also frequently used for shooting films: movies like Ratatouille, Queen Margot or last Mission Impossible filmed some of their scenes here. The Canal Saint-Martin cruise is a beautiful boat cruise with a much more local feeling than the Seine river cruises. The Canal Saint-Martin boat tour is proposed by Canauxrama, Paris Canal, and Marin d’Eau Douce (on request). Book your Seine River and Canal Saint-Martin boat tour! During the XVIIth century, King Henry IV of France ordered to build a new aqueduct to bring water in Paris Left Bank. This new aqueduct, known as Aqueduct Medicis, was 13 kilometers long and could be accessed for inspection through 27 different inspection chambers called regards. Chamber #27, also called Grand Regard de l’Observatoire, was the inspection chamber at the end of the aqueduct and above it, the house for the Intendant General of the Waters and Fountains of the King (commonly known as le Fontainier) was built. What is interesting about this place is not the house itself but what’s below the ground. At this point, the waters of the aqueduct were finally gathered before being distributed to the city. The grounds of the house were divided into three different vaulted halls, each one with its own distribution pool. The king’s distribution pool was obviously the biggest. Then, there was a second distribution pool for the religious communities. Finally, the third distribution pool (the smallest) brought water for the rest of the city. Later in 1845, engineers Lefort and Mary built a large reservoir-hall to store the overflow of water that drains at night. This tank-hall is connected to the old distribution pools through a large pipe. Crossing the pipe from the old distribution pools to the tank-hall is the most celebrated part of the guided visit, especially by kids. On the picture above you can see the arrival of water from the aqueduct to the distribution pool for the religious communities. La Maison du Fontainier can be visited during special cultural events like Les Journées du Patrimoine in September. Today 18 ancient regards (=inspection chambers) still exist in the city but only eight are still visible. Amongst them, Le Regard de la Lanterne is the most beautiful of all. This cylindrical, stone building located in Paris 19 was built during the XVIth – XVIIth century as the main inspection chamber for the Belleville Aqueduct. This aqueduct was bringing in the past water in Paris Right Bank from Belleville hills. We live not far from this little construction and we were curious to know what was hiding inside. 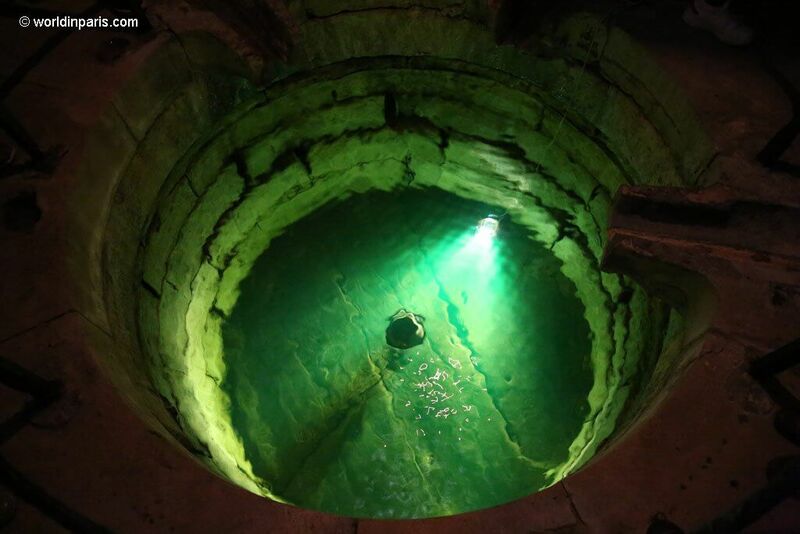 Finally, during the last Journées du Patrimoine we could go down and see the well and all the underground tunnels in Paris 19, beautifully illuminated for the occasion. This little regard is covered by a dome surmounted by a lantern which allows the circulation of fresh air inside. Today this regard has no longer any technical function but it continues to receive water from the Belleville water table. This awesome water reservoir was designed by the engineer Eugène Belgrand, the father of the current sewer system in Paris, between 1868 and 1873 to feed with drinkable water the southern part of Paris. This is definitely the most beautiful site of our underground Paris map which looks like a beautiful underground cathedral with arched stone walkways in every direction and filled with turquoise water. You can see more pictures of this spectacular site here. Unfortunately, the Montsouris Water Reservoir, located in the 14th Arrondissement of Paris, is classed as “sensitive site” (this is an important water storage unit for the city) and guided visits are today very rare. During World War II, the city of Paris built underground bunkers to provide “a place to retreat for citizens in case of an air attack”. Some of these bunkers are still intact and they are an interesting place to visit, the reminder of a sad chapter of Europe’s past. The most famous underground bunkers are the one located in the grounds of Gare de l’Est, open to the public in rare cultural occasions, and the bunker located under Champ-de-Mars, just next to the Eiffel Tower under a southern pier. 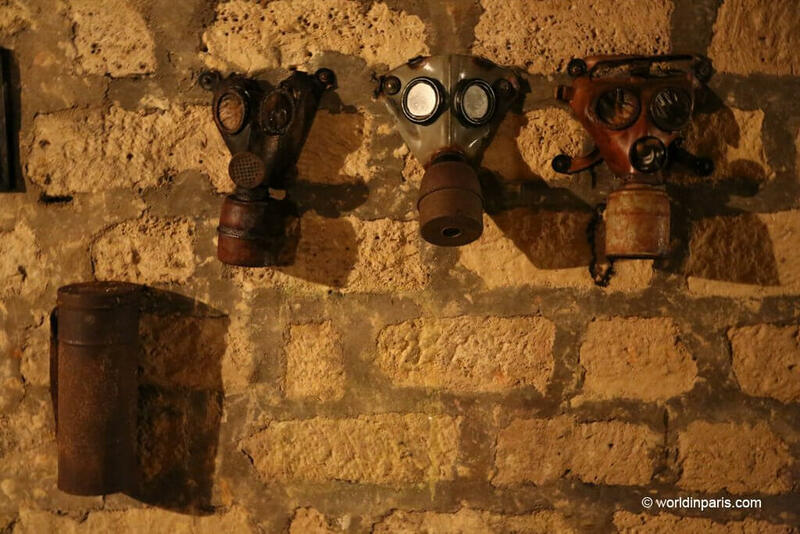 We have only visited the bunker located on the grounds of Les Carrières des Capucins. The visit to this bunker is part of the usual guided tour at Les Carrières des Capucins. Phantom of the Opera were just stories? 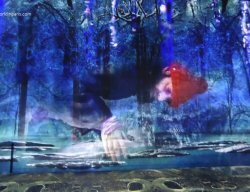 On the book, Erik the phantom is a deformed architect who helped to build the Opera of Paris while at the same time he secretly built below its grounds an underground palace for himself, with a vast subterranean lake. This lake really exists and it is located exactly below the opera scenario. Yes, the ballet dancers are somehow dancing over the water! When the opera’s foundation works started in 1852, the architects realized that they were digging into a marshy area where the groundwater was very high. Charles Garnier, the main architect, had the idea of incorporating a cistern into his design to redistribute the water and relieve the water pressure on the basement walls. 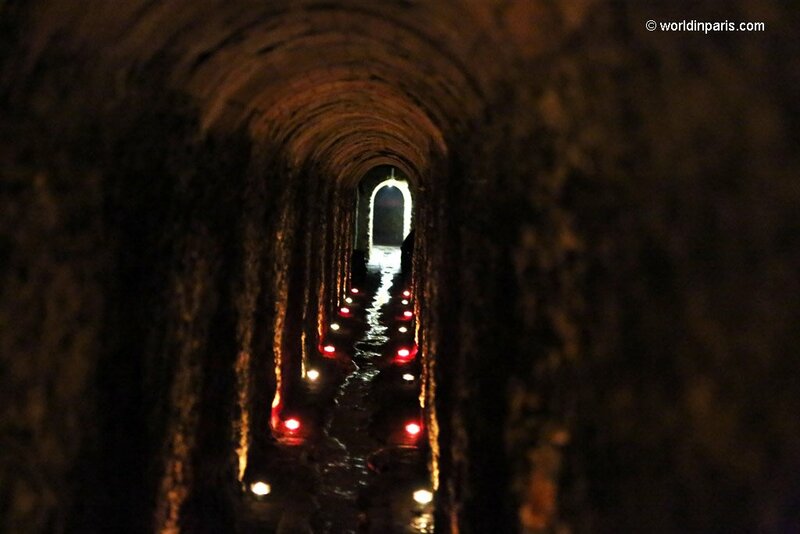 The cistern is usually full of water, like a lake, to be used by firemen in case of fire. We would really love to see this place by ourselves but only a few people, like the Parisian firemen, have access to this subterranean lake. This means that the lake is not part of the Paris Opera guided tours but the building itself and its story are so fascinating that we recommend visiting the Opera of Paris anyway. 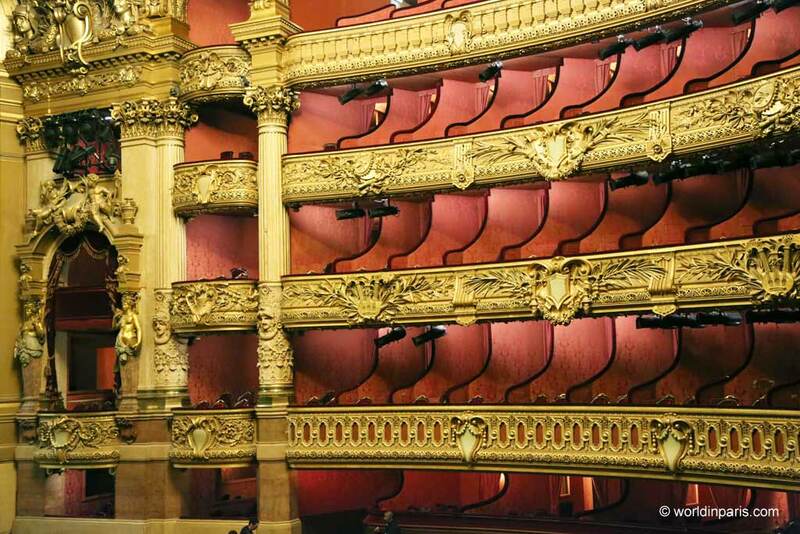 Book your Opera Garnier guided tour now! We hope you enjoyed exploring these secret Paris underground tours. Which of these underground sites would you like to visit right now? What a great guide to the Paris Underground. I had no idea that you could explore so much of their underground! The water reservoir looks interesting and spooky all at once. The subterranean world of Paris is indeed fascinating. 130 Kilometres of sights and experiences below the ground is really intriguing. The hidden metro stations and the sewer museum are something that attracts me immediately. Hope to be able to cover these below the ground attractions when we are there next. I regret not doing this tour while in Paris. The whole underground network is so amazing.! Catacombs tour seems so interesting. And your pictures have a mysterious effect. This really is secret Paris. I had no idea there were so many underground tours you could take. I’ve been to Paris 18 times but never any of these sites. Next time! Looking at the photos, I can almost feel the cold and dampness. Thanks for the tips. This is the most comprehensive post on underground Paris I have seen. And it is amazing how extensive it is! 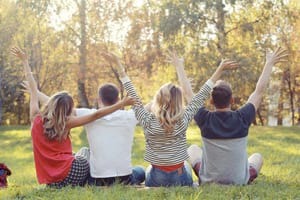 I am not surprised that I have not heard of most of these places (except Catacombs, I’ve been there) and that’s the whole point about travelling with a local, these kind of hidden gems that tourists don’t hear of, can only be known by the locals! The St Martin Canal and the reservoir look pretty awesome. A trip to Carrières des Capucins is also right up my alley! That’s actually a really good idea to use an abandoned metro station for filming – it saves closing down one of the others! I love the 30s decor at the Saint-Martin station too. I had no idea there was so much going on underground in Paris! I’d heard about the catacombs before, and although that would be interesting I don’t think I could handle being underground with all the skeletons! I was aware of the Catacombs tours ut rest of everything you say is an education. I love studying water management systems in ancient cities, so it is good to know of the underground sewage systems, tanks, and lakes. It seems Paris underground is as incredible as the city itself. I didn’t know that Paris has an underground world like that.. I’d love to go to the museum of water & the catacombs..This post is bookmarked! I of course had heard of the famous catacombs in Paris but i had no idea there was over 130km of underground to explore. With secret metro stations and ancient Roman waterways it really is likes a while other world.